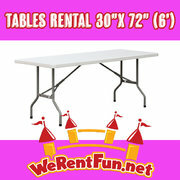 Make sure everyone gets a seat at your table with Table & Chair Rentals from We Rent Fun! 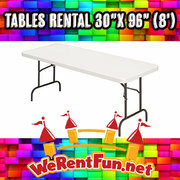 These folding tables and chairs are simple to setup, and clean-up is a breeze with their hard plastic surfaces. 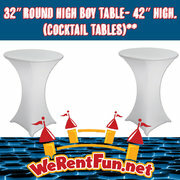 We offer affordable setups, so that you don’t have to scrimp on seating or invitations! 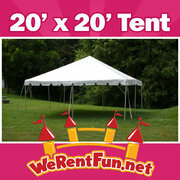 Also check out our Tents to keep your guests cool in the shade during your party! We ensure all our inflatables and equipment are cleaned and sanitized before every rental for a safe environment for all our customers. 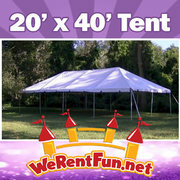 We take pride in delivering only the best party rentals on time, every time to keep our customers coming back for more. 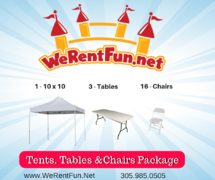 The Inflatable Fun Co is located in Miami, FL and we deliver all around Miami including Doral, Miami, Coral Gable, Miami Garden and much more! Check out our Delivery Areas online, and book your inflatable today! 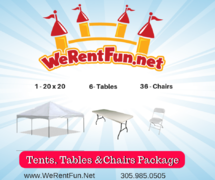 We Rent Fun has Table & Chair Rentals for your next party or event in Doral, FL. 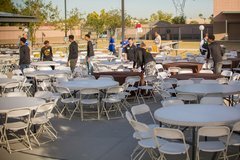 Our table and chairs are perfect for lots of different events: birthday parties, graduations, prom, holidays, baby showers, and more! 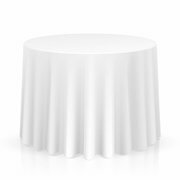 These are perfect for adding more place setting or even having a gift table. 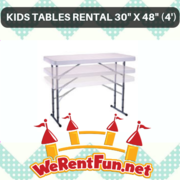 Our 8 ft tables easily sit 6 adults. 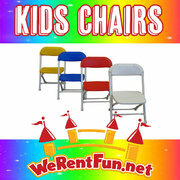 The chairs are white, foldable, and sturdy. 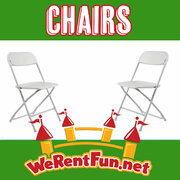 This are great event and festival chairs. 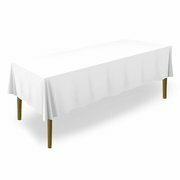 They are festival style table and chairs so expected some marking. 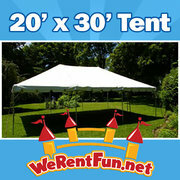 Do you need some fun for your party? 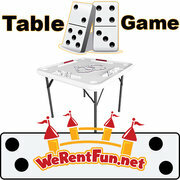 Check out our carnival game rentals! 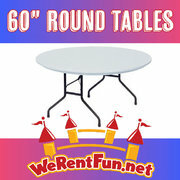 Thank you for considering We Rent Fun for your table & chair rentals. 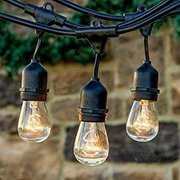 We are a Christian family owned and operated Party Rental Company that wants to go above and beyond our customers' expectations. Our professional staff understand the importance of your events success and hold themselves to the high standards we set in place for our growing business. 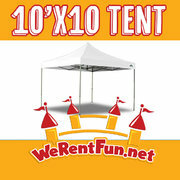 We want to be a one stop shop for all your party and event rentals. We thank all active military, police, fire and first responders with great discounts. Please be sure to mention this to us when making your reservation. Contact us today!